New look and a May 22 launch on the cards? 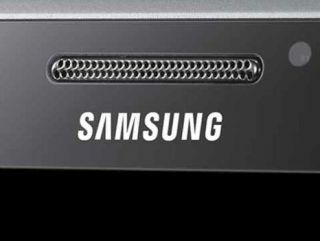 The new image comes via GSM Helpdesk Nederland and reinforces rumours that Samsung is set to go down a new design path with the Galaxy S3. The image also point towards a London launch for the handset on Tuesday 22 May 2012. This is the same date and design we saw on the leaked press image. Specifications for the upcoming Galaxy S3 were also leaked along side the image, with the report claiming that the phone will come with a 4.7-inch Super Amoled HD screen (720 x 1280), 1.5GHz quad-core processor, 12MP camera and will weigh in at 125g with a depth of 8mm. There are some inconsistencies between this latest image and the press leak we saw a few days ago and we reckon the one today is an older render of the Galaxy S3, with the supposed press shot more likely to be the real deal. The latest image looks to be using older app icons and with only four along the bottom of the screen it suggests Android 2.3 is in play. The press image shows five apps in the tray, with an Ice Cream Sandwich look about them. The widget designs on this image also look to be the standard ones you get on the Galaxy S2, with the press image potentially showing a slightly different look, relating to the Ice Cream Sandwich upgrade and a possible update to the Samsung TouchWiz interface. Are you a fan of the look the Galaxy S3 could sport, or do you think Samsung may have missed the mark this time? Let us know in the comment box below.